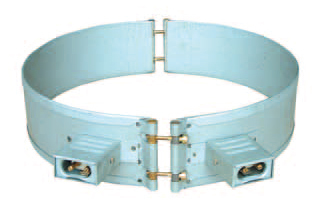 COLLAR type heating coils are used mainly to heat extrusion cylinders and for injection machines for plastics, at temperatures of up to 400° C.
TUBULAR heating coils, assembled in a variety of forms, are used to heat liquids. 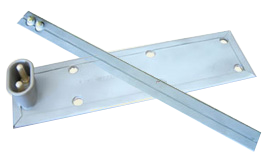 They are made with copper, stainless steel, titanium or coated metal heating elements for particularly corrosive liquids. 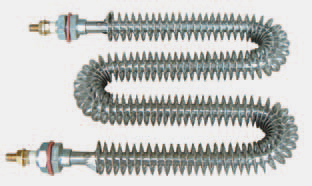 Made to the customer’s drawings, FINNED heating coils are used for forced or natural air heating systems. 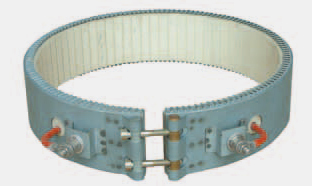 FLAT heating coils are used in a variety of applications, up to 400° C.
COLLAR TYPE heating coils with CERAMIC COATING are used instead of mica for applications with temperatures up to 700° C.